Summary: Teddy Youngblood is in a coma, hospitalized after a head injury during football practice. A rising freshman, he was attending a summer camp for the championship Walthorne High School team. Told entirely in texts, newspaper stories, and transcripts of (one-sided) conversations from visiting family and friends, the narrative gradually reveals that there was more to Teddy’s injury than just an unfortunate accident. Older players are trying to hush up what happened that day, and younger players, wracked with guilt, are trying to decide whether or not to tell the truth to their parents and friends. As the details slowly come to light, readers will have to decide what the difference is between right and wrong, and whether turning a blind eye to bullying can be just as dangerous as participating in it. 304 pages; grades 5-9. 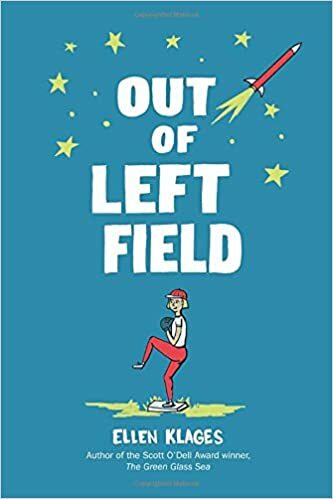 Pros: Tommy Greenwald turns to more serious topics than those covered in his Charlie Joe Jackson series, but this book will appeal to the same reluctant readers. The format makes it a fast read, while the slow revelation of what happened to Teddy makes a gripping story right up until the end. Cons: The characters seemed like they were beginning to ramble on the last 30 pages or so… they could have been edited down a bit. 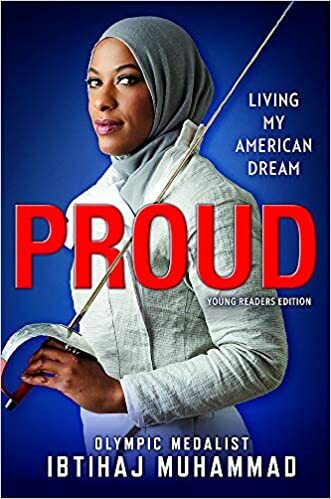 Summary: In 2016, Ibtihaj Muhammad became the first Muslim American woman to compete in the Olympics wearing hijab, and she and her teammates won the bronze in the team saber fencing competition. She tells her story here, starting as a young child growing up in a close-knit family in New Jersey. She and her siblings were always active in sports, and fencing appealed to her and her parents because she could compete without having to alter her team uniform. She was part of a championship high school team, then went on to fence for Duke. Ibtihaj struggled as one of the few African Americans in a traditionally white sport, and found herself often having to explain her faith and decision to wear hijab. She assumed she was done with fencing after college, but when she struggled to break into corporate America, she found herself back at her old gym, where her coach encouraged her to reach for her Olympic dream. At the same time, Ibtihaj founded Louella, an online company selling fashionable clothing for Muslim women. As she pursued her dreams, Ibtihaj often found herself serving as a role model for her faith community; the book ends with the Olympics, but an epilogue tells of her post-Games activities, including more fencing, activism, and continuing with her business. Includes a fencing glossary, Ibtihaj’s advice, and a few questions and answers for her. 304 pages; grades 5-12. Pros: Any reader with a dream will find encouragement and inspiration in Ibtihaj Muhammad’s story. She has learned to proudly be herself and in the process realize her goals through incredibly hard work and determination. Cons: Although there were eight pages of color photos, I could have enjoyed seeing even more. Summary: Sunny’s the fastest miler on the Defenders track team, and easily takes first place at most of their meets. But he’s struggling with his reasons for running, and one day he comes to a halt before the finish line and refuses to finish his race. Turns out his mom was a runner; when she died giving birth, his dad decided it was up to Sunny to carry on her legacy. 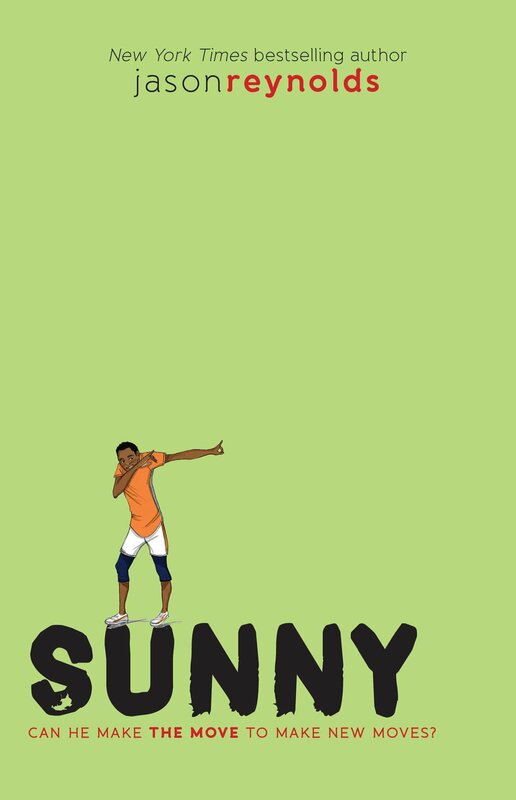 Writing in his diary, Sunny tries to figure out his dad, his homeschool tutor Aurelia, his Defenders teammates, and himself. What Sunny really loves is dancing. When he shows the coach some of his moves, Coach sees the beginnings of a champion discus thrower, and Sunny moves into a new role in the team. Book 4 in this series, Lu (the final installment) is due out in October. 176 pages; grades 5-8. Pros: Another excellent entry into Jason Reynolds’ Track series that includes Ghost and Patina. You don’t have to be a sports fan to appreciate the humorous narration, interesting characters, and emotional impact of all three of these books. Can’t wait for the thrilling conclusion! Cons: I don’t know if it was the diary format or the slightly shorter length, but I just wasn’t quite as invested in Sunny as I was in Patina and (still my favorite) Ghost. Summary: Zach and Zoe are eight-year-old twins who love sports and solving mysteries. When Zach brings his prized autographed baseball to school for sharing, he is dismayed when it disappears during lunchtime. Zoe is on the case, scouting the area for clues and trying to piece together what happened when the kids were out of the classroom. Meanwhile, it’s Spirit Week, and the entire third grade is competing for points to see if the Blue team or the White team will get the highest score. It all comes down to a final baseball game, with Zach and Zoe each captaining their teams, for the resolution of both the Spirit Week competition and the missing baseball mystery. 80 pages; grades 1-3. 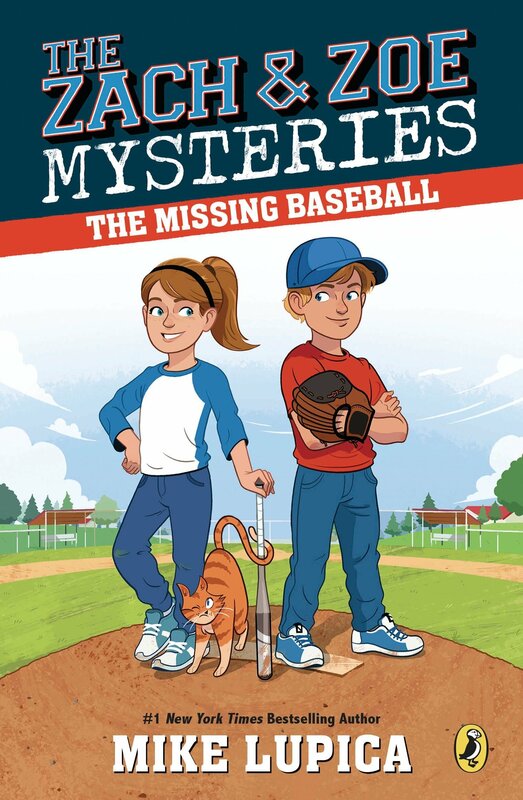 Pros: In his first foray into books for younger kids, Mike Lupica does a nice job of creating a mystery that has plenty of sports action. A good series for fans of David A, Kelly’s Baseball Mysteries and MVP series. Cons: I found Zoe and Zach’s parents pretty annoying; it seemed like every other page featured one of them offering advice or one of the kids recalling some pearl of wisdom from Mom or Dad. 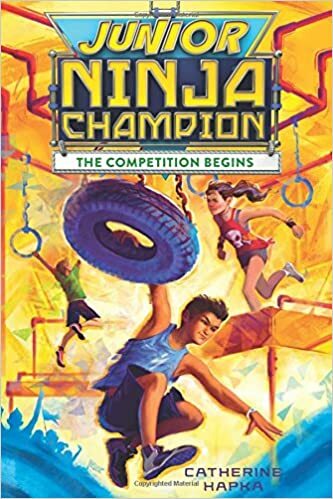 Summary: Ty, Kevin, Mackenzie, Izzy, and JJ all have different reasons to want to audition for the Junior Ninja Champion show. When they hear that local tryouts are being held nearby, they come together at Ty’s parents’ gym for kids to practice. Tara, a contestant from the National Ninja Show comes on board as their coach. Each kid struggles with his or her own challenges, both on the course and off of it. The story takes the team through two rounds of competition; they all make it through the first round, but only three are chosen to go on to the next one, which will be covered in book 2, coming out in January. 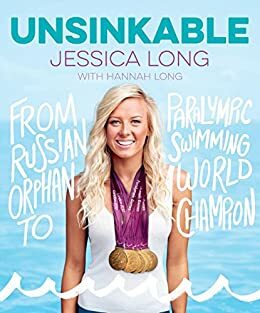 Includes an interview with American Ninja Warrior competitor Allyssa Beird. 176 pages; grades 3-5. 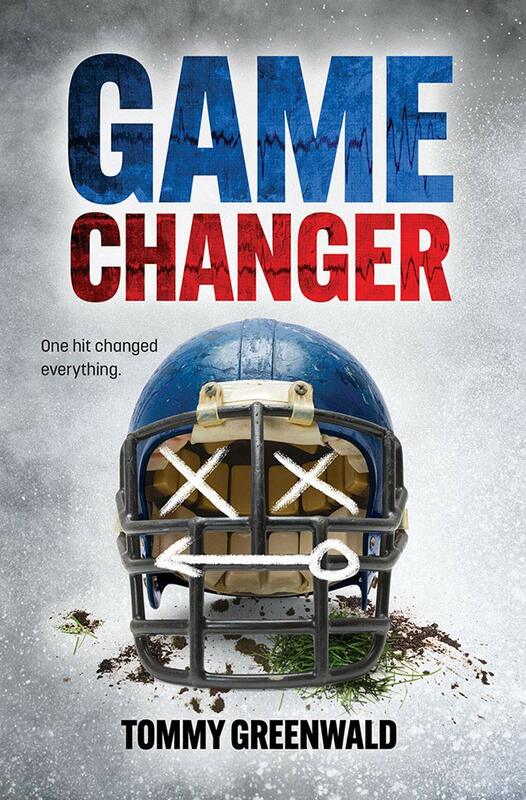 Pros: A pretty quick read for sports and reality TV show fans that not only delves into the sports action but covers the kids’ emotional ups and downs as well. Cons: I was expecting more action and a faster pace from a book about kids competing to be ninjas. Summary: Katy Gordon is the star pitcher of her 1957 neighborhood baseball team. One afternoon, wearing a jersey and cap and being called “Gordon” by the boys, she’s invited by a Little League scout to a tryout. She makes the team, but when one of the other boys tells the coach that she’s a girl, she’s promptly kicked off. Supported by her chemistry professor mother, she writes to Little League headquarters, but receives a disappointing response that includes the sentence, “Since the beginning of baseball as an organized sport, it has always been the sole province of male athletes.” When Katy is assigned a research project at school, she decides to research women in baseball and is shocked to learn how many women have played since the beginning of the game. Her project gets her some local attention, a story in the paper, and the chance to strike out Willie Mays, but even that isn’t enough to get her back into Little League. In the end, she’s back to the neighborhood team; the final scene shows her reaching out to a younger girl who wants to play as well. Includes information about the women Katy researches; an author’s note; a glossary; and additional resources. 320 pages; grades 4-7. Pros: Katy is a spunky narrator who will have boys and girls rooting for her in her campaign against the unfair Little League rules. There are plenty of other interesting historical details, from Katy’s mother’s fight against McCarthyism at her university job to Katy receiving one of the new Frisbees for her birthday. Cons: On page 245, Katy’s friend Jules dismisses the Nancy Drew mysteries in this way: “They’re all about the same. Nancy has adventures, her chums get into trouble, Ned rescues them all (emphasis mine), and the mystery gets solved along the way.” Having read more than 40 Nancy Drew books in my childhood, I feel safe in saying Nancy rescued Ned at least as often as the other way around.